I came to know of the late comrade Prins Gunasekara through the large amount of work he did in the social transformation that took place in 1956, while representing the Habaraduwa electorate in the Galle district. He was a joint-secretary of the Mahajana Eksath Peramuna (MEP) established in 1956 and was a contemporary and a follower of Mr SWRD Bandaranaike and comrade Philip Gunawardena. In the General Elections of March 1960, he contested and won the Habaraduwa electorate from the MEP ticket with a small majority of around 100 votes but was defeated at the General Elections of July 1960. Again, he contested and won the 1965 General Elections as an independent leftist candidate with a majority of about a hundred votes. He contested and won the General Elections of 1970 handsomely under the United Front led by the Sri Lanka Freedom Party. His political determination at these elections was a source of satisfaction to us even when we were younger. Nevertheless, my view is that the ideology he held could be branded as an admixture of left-wing progressive and Sinhala nationalist ideas. His attitude towards the thousands of youth who took part in the Uprising of April 1971 was quite different to the attitude most of the members displayed at the time, who appeared to be leftists in the Parliament. The attitude comrade Prins displayed towards our group including comrade Rohana Wijeweera, who took a stand against the then government during the “Main Trial” filed in the Criminal Justice Commission had irritated Mrs Sirima Bandaranaike as well as many leftist leaders who were in the ruling coalition. The “Main Trial” was prosecuted by the Attorney General Victor Tennakoon, the Deputy Solicitor General Percy Colin Thomé, Advocate Ranjith Abeysuriya, the current Minister of External Affairs and Attorney at law Tilak Marapana and Attorney-at-law Sarath N. Silva, who later became an infamous Chief Justice. Comrade Prins Gunasekara being an Advocate, was prominent among the group of lawyers, who came forward to challenge the legality of the Criminal Justice Commission, when the government of the day filed charges against 41 people for conspiring to wage, waging and/or abetting to wage war against the Queen and conspiring to overawe by means of criminal force the Government of Ceylon. He was also prominent among the group of lawyers who stood up and walked out protesting against the unusual procedure of the Commission which was following the instructions of Mr Felix Dias Bandaranaike, the Minister of Justice at that time. The Chair of the Criminal Justice Commission, Chief Justice H N Fernando banned from appearing in the Commission any of the lawyers who had walked out in protest. Even within certain groups who were in government, especially within the Communist Party of Sri Lanka (Moscow wing), there had arisen a tense situation over the arbitrary moves that would have been taken under the Criminal Justice Commissions Act. The Communist Party and the Lanka Sama Samaja Party could not control the issues that were rising from among their young party members. They did not support the JVP but were terrified of the Criminal Justice Commissions Act and the government getting enhanced judicial powers under the state of emergency. Comrades such as the General Secretary of the Ceylon Mercantile Union, Advocate Bala Tampoe and Prins Gunasekara and other independent groups were disclosing information to the rest of the world about the cruel state repression. Comrade Prins had brought Lord Avebury of the Amnesty International, a high-ranking human rights activist and a member of the British Parliament for a tour in Ceylon. They accompanied by Comrade Bala Tampoe had been collecting information by visiting various areas that had been subject to destruction due to state repression. The real nature of the state repression led by the United Front regime began to be internationally revealed. Especially incidents like comrade Premawathie Manamperi, being paraded naked on the street and then shot and killed in Kataragama, came to the attention of foreign media. Before his departure from the island, Lord Avebury and comrade Prins were to meet comrade Rohana at Welikada Prison. When they were ready to enter through the gates of the prison, they were prevented from doing so. Orders had come from the then Permanent Secretary to the Ministry of Justice, Mr Nihal Jayawickrama following the instructions he received from the then Minister of Justice Mr Felix Dias Bandaranaike. The then Commissioner of Prisons Mr J P Delgoda prohibited comrade Prins and Lord Avebury from entering the prison premises. Even during the seventies, not allowing comrade Prins, who was then a Member of Parliament, to enter prison premises displayed the autocratic nature of the then government. Such was the commitment and determination of comrade Prins Gunasekara for protecting human rights against the autocracy. Comrade Prins, who left parliamentary politics in 1977, fearlessly confronted the social and national issues. Having been released due to the repealing of the Criminal Justice Commissions Act around 1978, comrade Rohana and I had the opportunity of meeting with Lord Avebury at the home of comrade Prins in Colombo. We also had the opportunity through comrade Prins, of having discussions at his home, with Professor Venerable Walpola Rahula Thero, at the time a lecturer at the Vidyalankara University. Ven Walpola Rahula Thero was also closely associated with Lord Avebury. 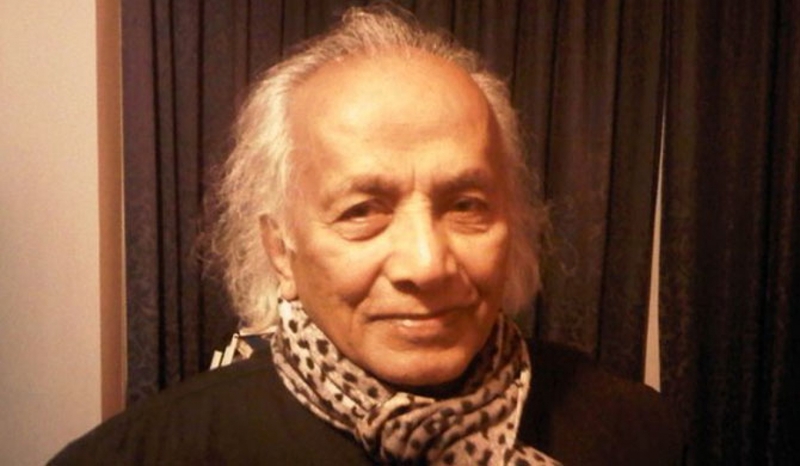 The “Gini Pupura” (Spark) group in London established connections with the Janatha Vimukthi Peramuna in the early seventies through the campaign to free political prisoners that had been launched during that time. It has been comrade Prins who had arranged for comrades Acha de Lanerolle and C I Fernando of the “Gini Pupura” group to establish connections with comrade Alwis, who had been active in the trade union of the Railway Yard in Ratmalana. When I was carrying out political work for the JVP in Galle District and when contesting for the Galle District Development Council, comrade Prins Gunasekara allowed me the opportunity to continue my work while staying at his parental house in Kataluwa. During the Presidential Election campaign in 1982, he voluntarily allowed his house in Colombo to be used as the main office of the JVP’s presidential election campaign. The only national referendum held so far in Sri Lanka, known as the “Lamp -Pot Play”, was held in the latter part of 1982. The referendum was held to extend the parliamentary term by another six years. At this referendum we, together with all other opposition parties campaigned against the extension of parliamentary term. While government supporters vehemently violated the election laws with the mediation of President J R Jayewardene, our request to the Elections Commissioner and the Police to prevent such illegal election activities received no response. Nevertheless, the law against the opposition was implemented to the letter. Due to opposition to this referendum, the office of the “Aththa” newspaper of the Communist Party of Sri Lanka was sealed and some of the leaders of the SLFP including comrade Vijaya Kumaratunga were arrested on the pretext of preparing for a ‘Naxalite plot’. Documents were also seized from the party offices that had been broken into. According to the results of the referendum held under the use of massive thuggery and illegal state power and resources, the lamp had received more than three million valid votes. Accordingly, the term of office of the Parliament was extended to August 1989. Since the government of Mrs. Sirima Bandaranaike had worked to extend the parliament in 1975 by another two years, some members of the opposition parties were ambiguous and seemed unable to oppose the results of this referendum. It was only the JVP that came forward to challenge the results of the referendum through a motion submitted to the Supreme Court. It was led by Comrade Rohana. Advocate comrade Prins Gunasekara and former Minister of Justice Felix Dias Bandaranaike appeared for the petitioners in this case. This had become a serious headache to President J R Jayewardene. The JVP had in its possession evidence of election fraud and corruption. The report the then Commissioner of Elections, Chandananda de Silva had released around 1988 also appeared to confirm that there had been undue pressure brought on achieving the outcome of the referendum. Overcoming this legal challenge was not an easy task for the then President and the government. It was during this time, the Black July pogrom was launched against Tamil people in the South in mid July 1983. An army attack killed a group of LTTE members and in revenge the LTTE had launched a retaliatory attack on July 23. Thirteen soldiers were killed as a result. On the instructions of the President, the then Army Commander Lieutenant General Tissa Weeratunga had arranged the burial services of the dead soldiers to be conducted on July 24, at the Borella Cemetery. The attack led by some of those gathered at Kanaththa that day on Tamil shops in the Borella town and the Tamil houses in the vicinity was like a signal to the groups that had been armed to destroy the Tamils and their properties throughout the country. Almost in every town, government politicians had planned and launched these attacks. Some leaders associated with the Jathika Sevaka Sangamaya (JSS), some government members of parliament and some thugs associated with the government had led these attacks in public with electoral register in hand to look for the properties owned by Tamil nationals. The government allowed the attacks to go on for two days and then curfew was imposed on July 26. The President addressed the people on July 28. Similarly, organized Tamil groups had attacked the Sinhalese people living in the North and East. By July 31 by an extraordinary gazette notification the Communist Party of Sri Lanka, the Nava Sama Samaja Party and the Janatha Vimukthi Peramuna were banned. The President declared that those parties were proscribed because of the reports he received that the attacks launched against the Tamil people were an anti-government conspiracy of the extremist Leftist leaders. This is how the basis of the massive state repression that ran till 1988-89 was set. Using these incidents as a pretext, the JVP was banned also with an aim of escaping the defeat that the state was destined to due to the petition submitted to the Supreme Court challenging the results of the referendum. Comrade Rohana Wijeweera went underground. Due to the ideological differences and ideological clashes developed with the party leadership, by that time I had already decided to leave the party. I also did not agree with comrade Rohana’s decision to go underground at that particular moment. During the 1983 Black July, about 17 activists of the JVP, including myself were detained under the emergency regulations at the fourth floor of the Criminal Investigation Department. Comrade Prins Gunasekara was also one of those detained. Every month, we should have been given a signed copy of the order the Secretary to the Ministry of Defence issued to hold us in detention. Though we received this for the first two months, later on we did not receive any signed notifications. Comrade Prins Gunasekara suggested that to protest this illegal action by the government, we should leave the cells we had been detained in and walk out of the building of the Criminal Investigation Department. While most of us agreed with this suggestion, some of us felt that we could be assassinated on the tried and true pretext that we have been trying to escape from the CID. Most of us including me and comrade Prins were of the view that they could kill us if they need to even while we are in detention, but we should take the risk and carry out our protest. One morning when ASP Punya de Silva was present at the first floor, Comrade Prins Gunasekara and I went to him and told him that the CID had no right to detain us because we have not been given an order signed by the Secretary to the Ministry of Defence to be detained. We left the door to exit the section we had been detained in and with the rest we walked onto the corridor. When we approached the staircase to the ground floor, Sub Inspector of Police, Mr Chandra Wakishta arrived via the lift from the upper floor, showed us the documents with the seal of the Secretary to the Ministry of Defence and pointed out that we have been detained legally and if we walk out of the building, force will have to be used against us. As such, we had to go back to the cells. Due to a Habeas Corpus petition my wife comrade Chitra had filed before the Courts and with the help of President’s Counsel Nimal Senanayake, we were released without any charges. Though comrade Prins continued to act against the government after being released from detention, comrade Prins acted in agreement with the nationalistic position the JVP followed. The country was in a highly vulnerable situation in the face of the armed and terror activities between the nationalist separatist struggle of the north, the nationalist patriotic armed movement of the south and the military forces of the state. Many activists and lawyers who staunchly worked for defending human rights were mysteriously assassinated. Faced with all these challenges, comrade Prins continued to fight for basic human rights. The state security forces used para-military death squads under diverse names such as PRA, Green Tigers, Black Cats. They assassinated thousands of youth. Meanwhile the JVP’s patriotic armed movement targeted and assassinated political leaders, activists and the civilians who did not implement their orders. The killing of comrade Kanchana Abeypala, his elder sister’s son, was the last straw. Disappearances as well as mysterious killings had become a daily occurrence. In the face of intensive state violence and the armed struggle launched by the JVP, comrade Prins had to leave the country in 1989 and to seek and obtain political asylum to save himself and his family. 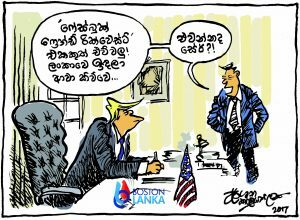 Mr Felix Dias Bandaranaike too had gone abroad temporarily. The petition filed by the JVP in the Supreme Court challenging the referendum result was dismissed under the pretext that no one was present in courts on behalf of the petitioners of the case. In the latter period of 1989, we were forced to leave the country as a result of death threats targeting me and other members of my family. While in Australia, I came to understand that comrade Prins Gunasekara together with Lord Avebury had continued his activities in defence of human rights. Sadly, my efforts to rekindle a relationship with him did not materialise. It may be because that the political road he had chosen to thread on would not have been compatible with the political ideas I hold. Nevertheless, I cannot but salute comrade Prins, who was always a peerless and fearless humanitarian. Despite the political differences I do not have any diminution in the respect and the loyalty I have always held towards comrade Prins Gunasekara, who devoted his entire life to defending democratic rights. In conclusion, my family and I would like to express our deepest sympathy to his dear wife and children and friends in their time of grief. Recollecting the unforgettable memories, we salute you comrade Prins Gunasekara – a giant and exemplar of human rights. Your contributions to the society will be solely missed.